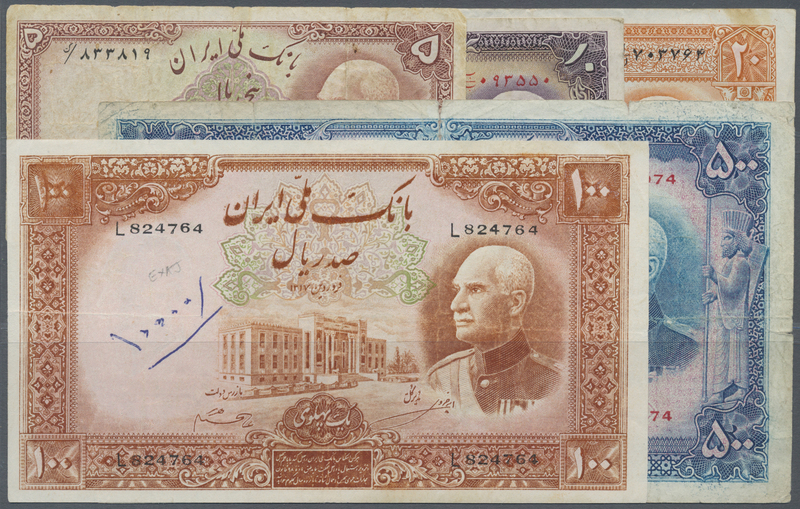 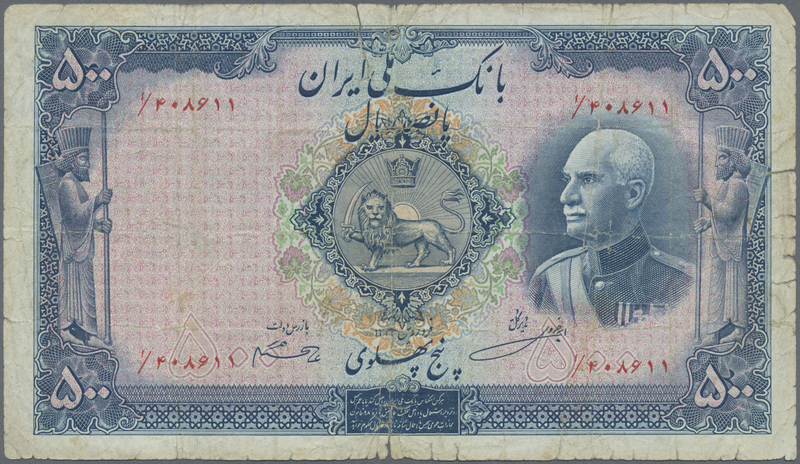 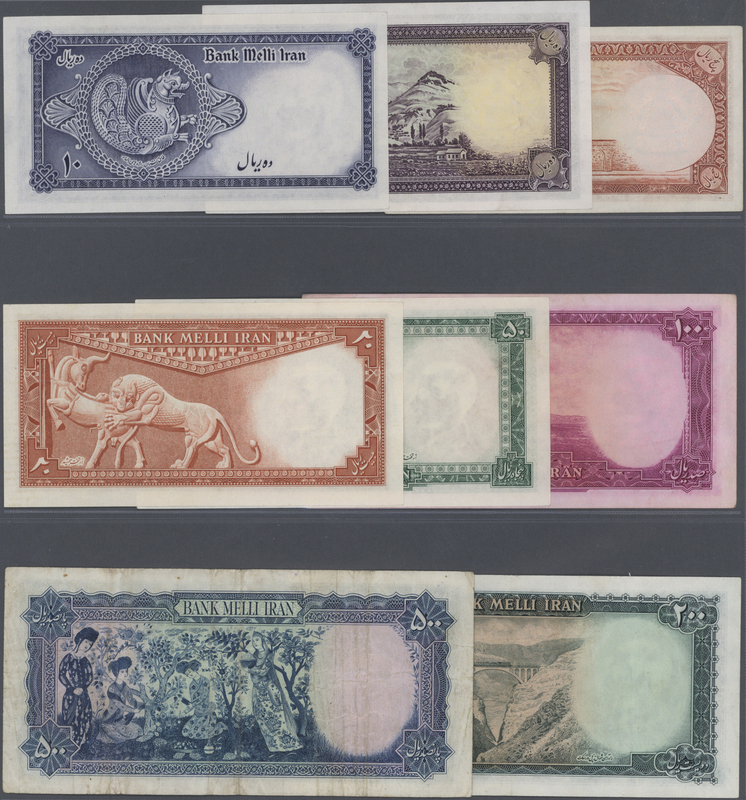 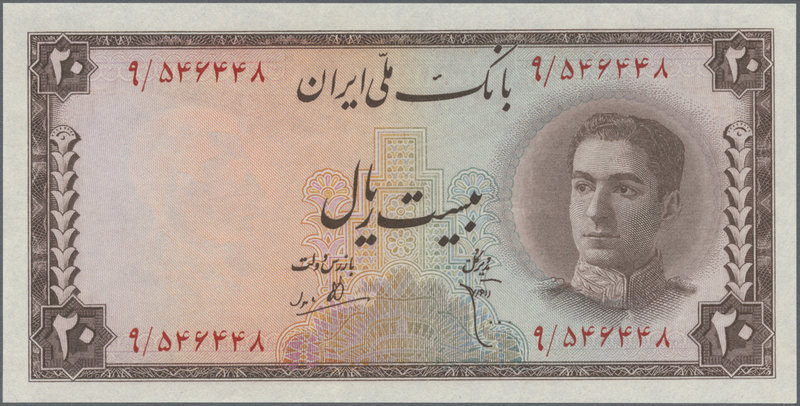 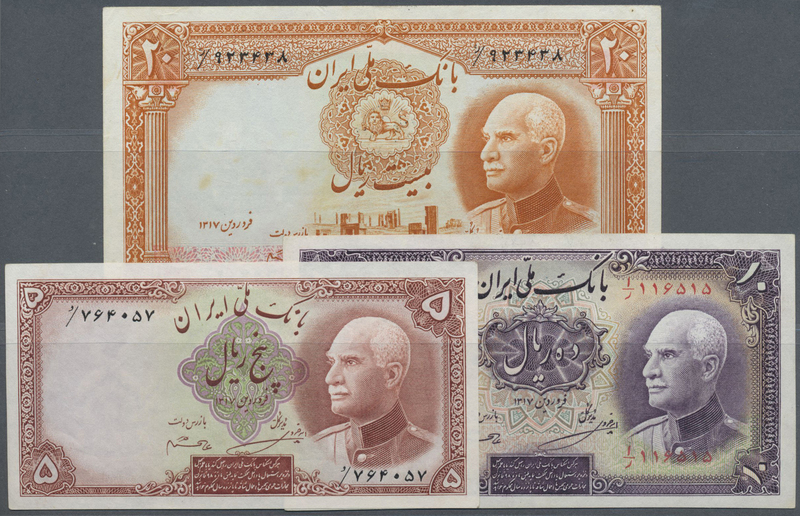 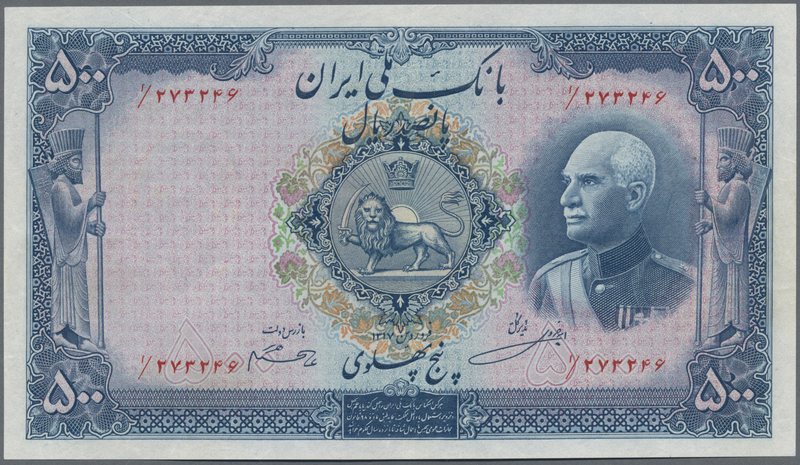 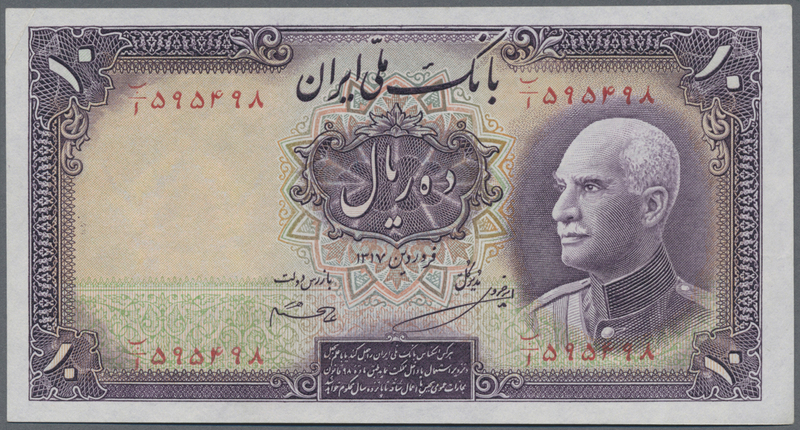 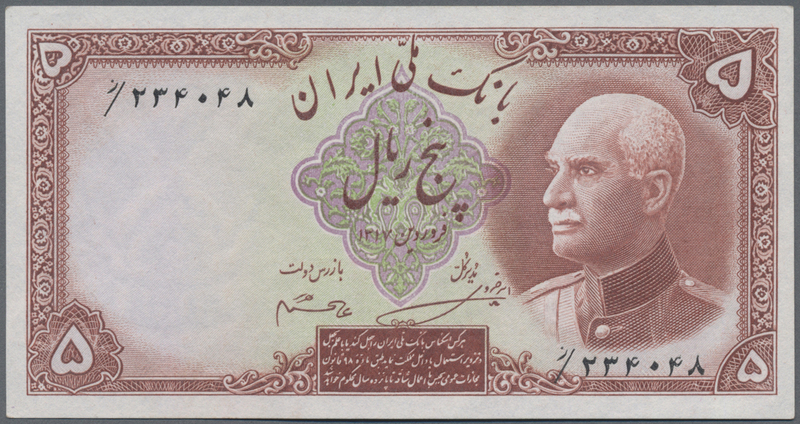 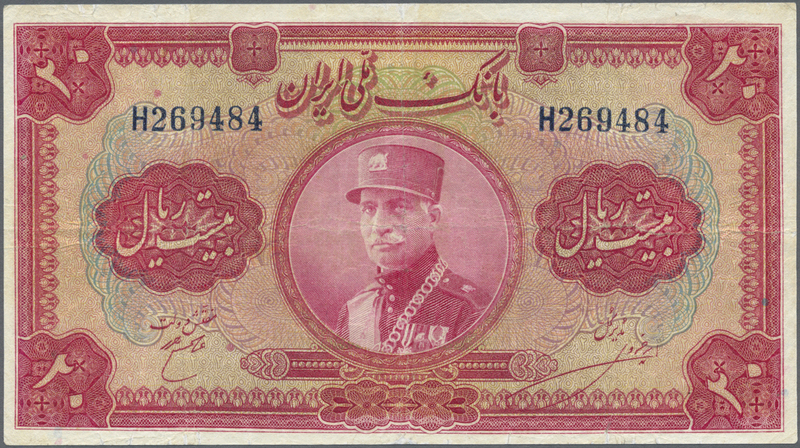 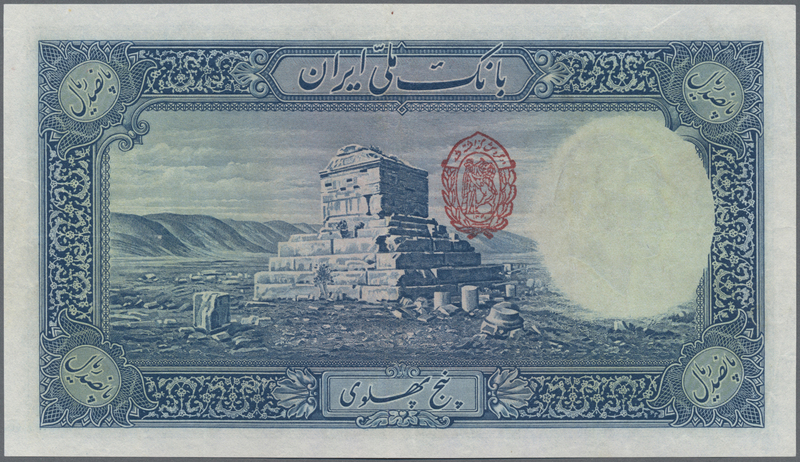 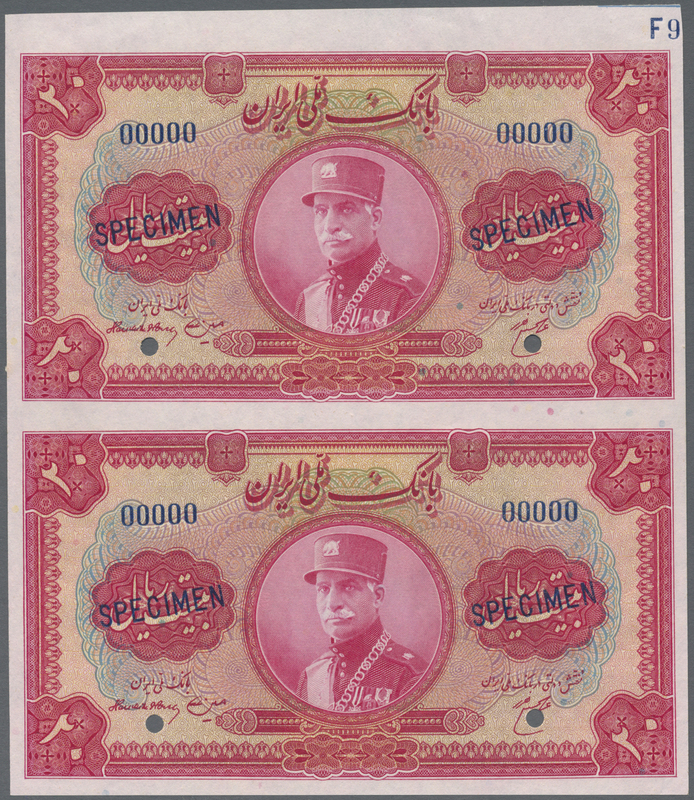 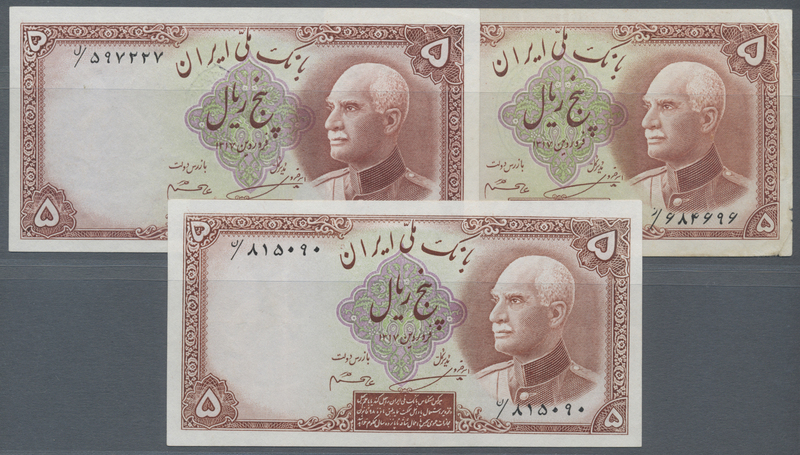 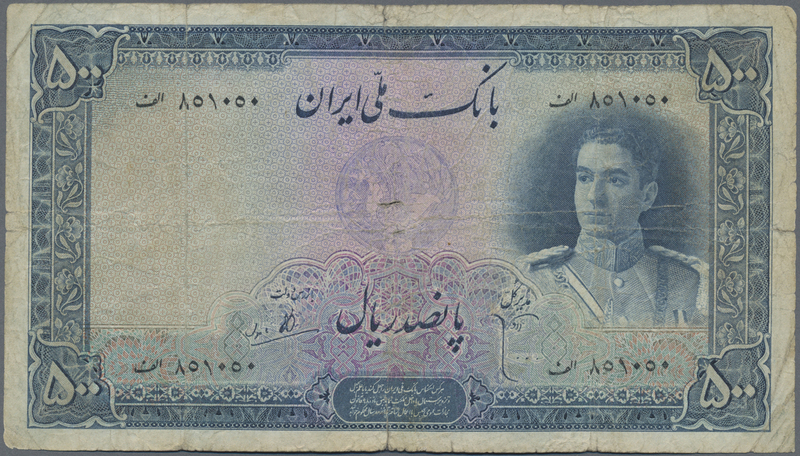 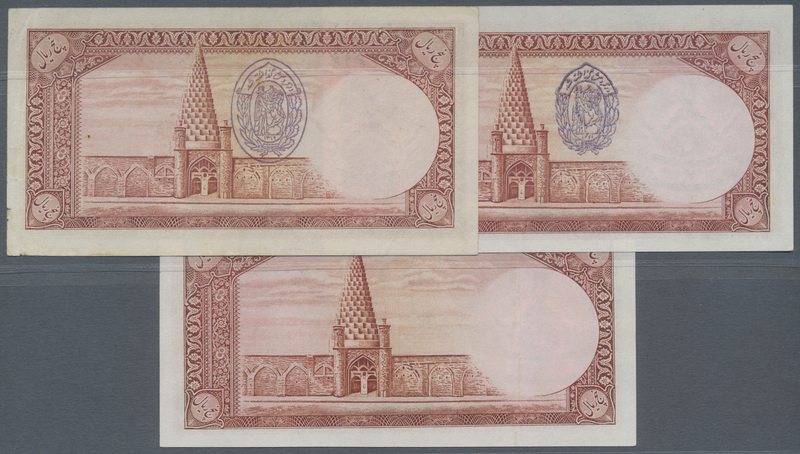 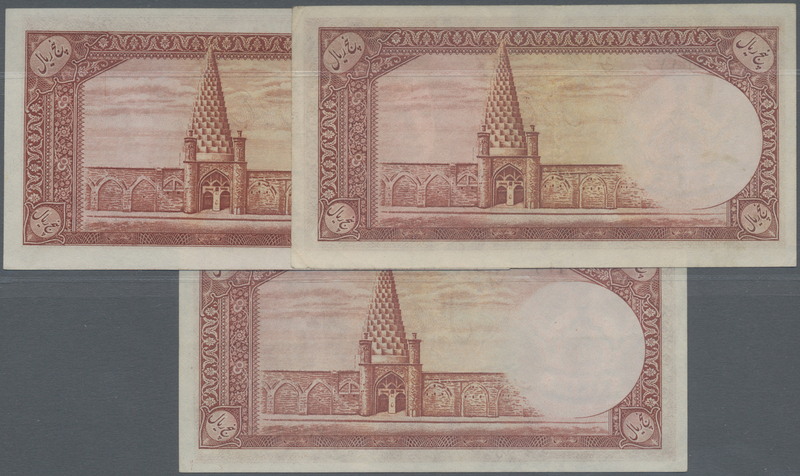 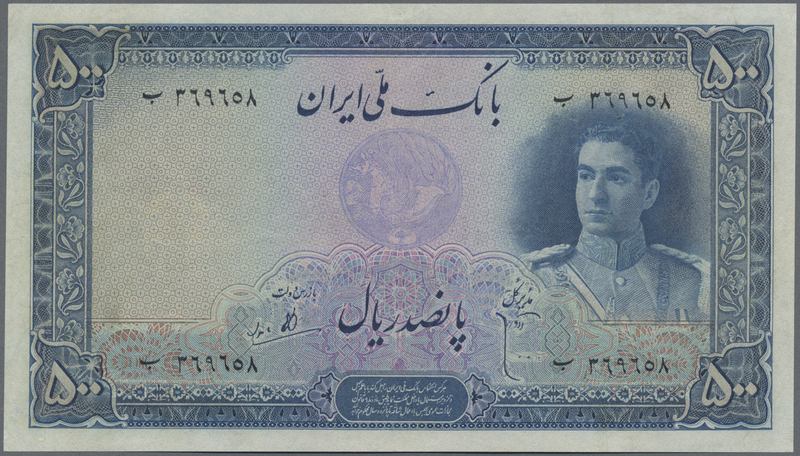 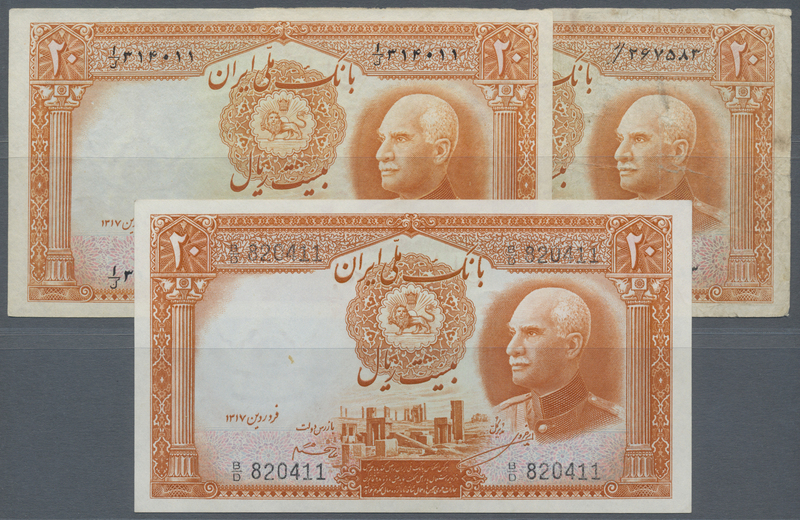 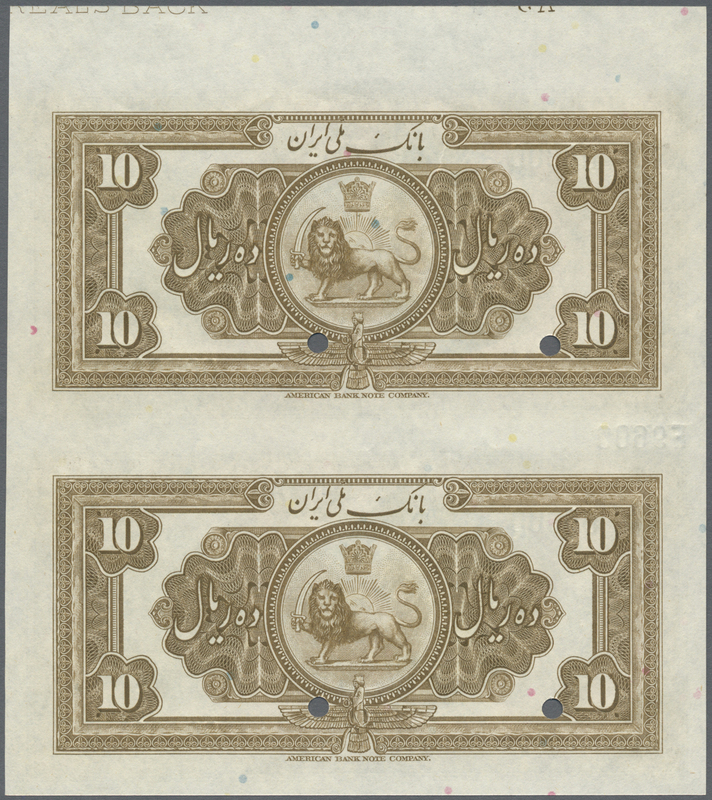 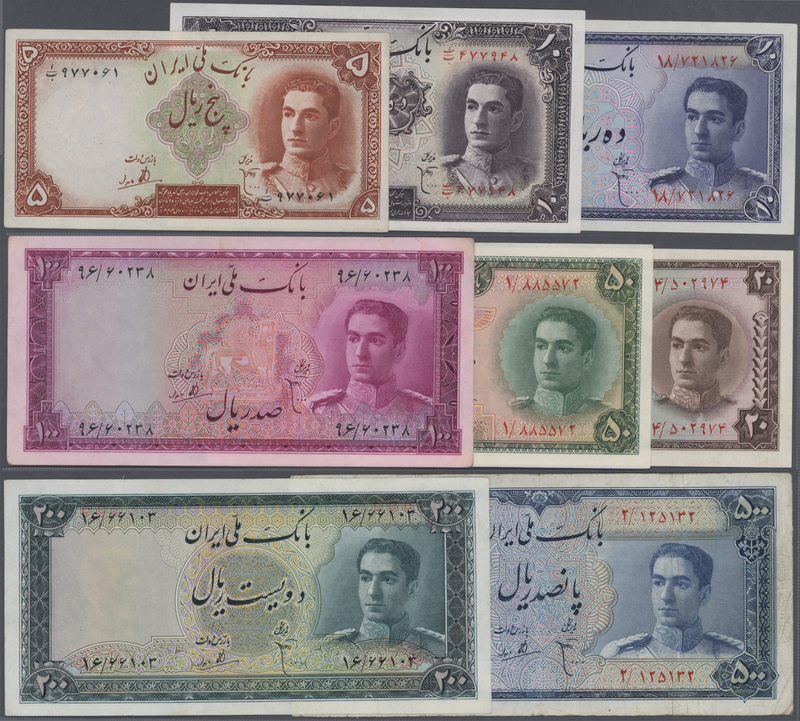 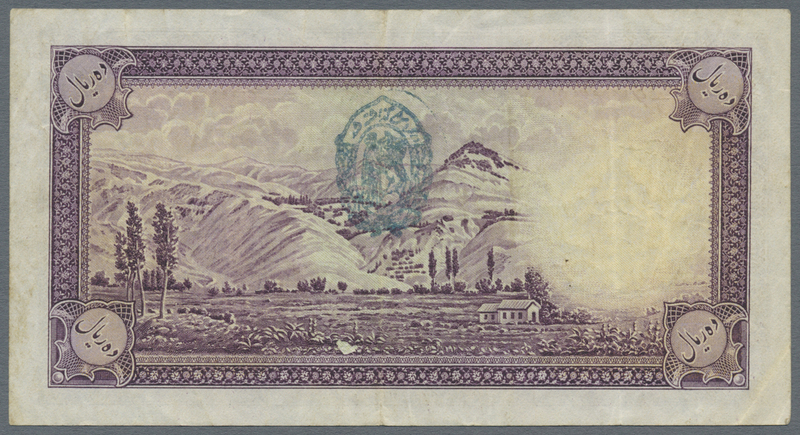 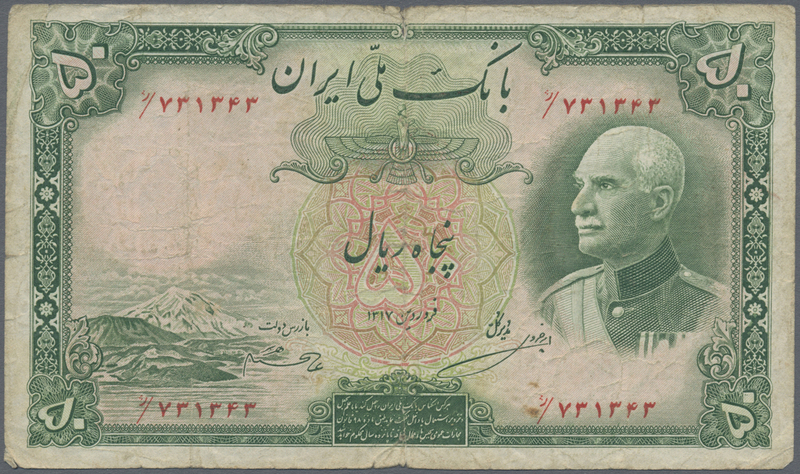 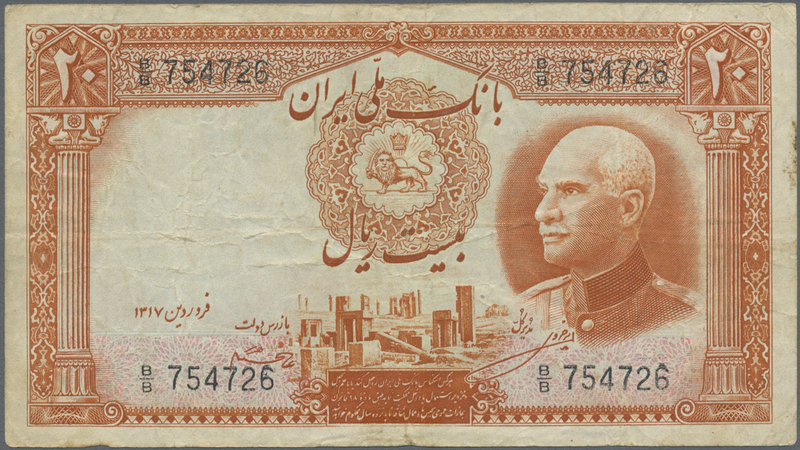 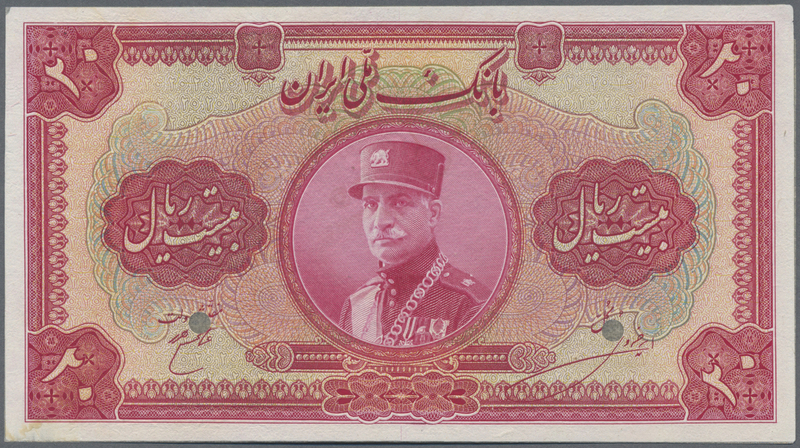 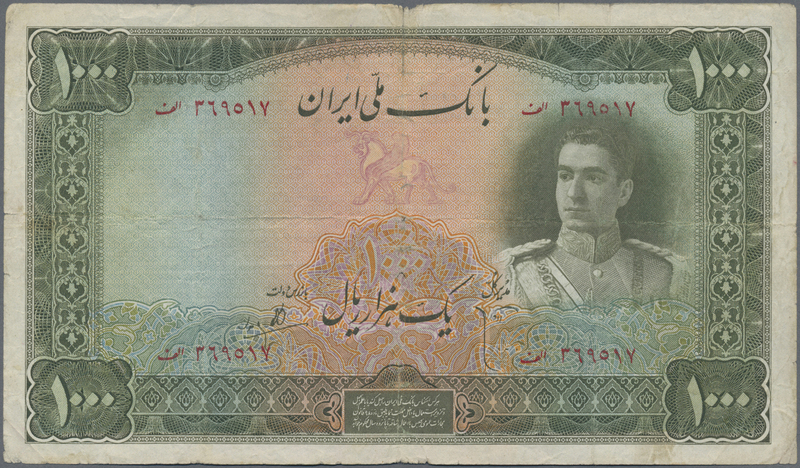 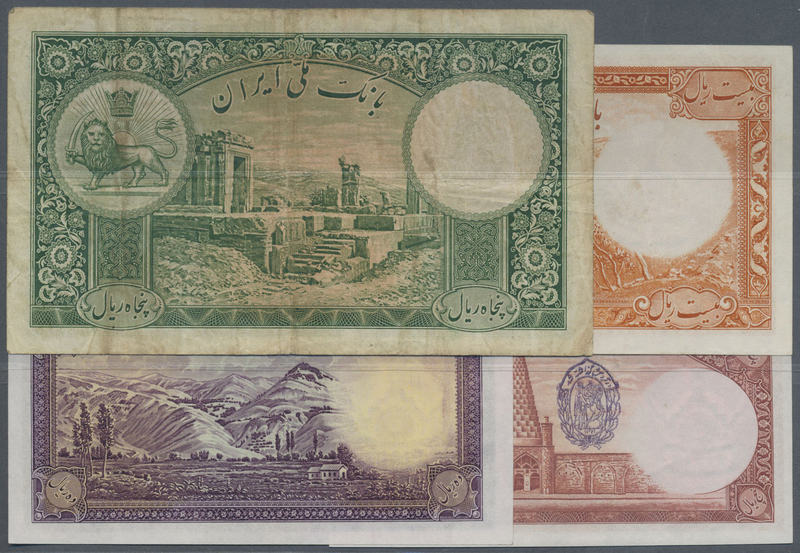 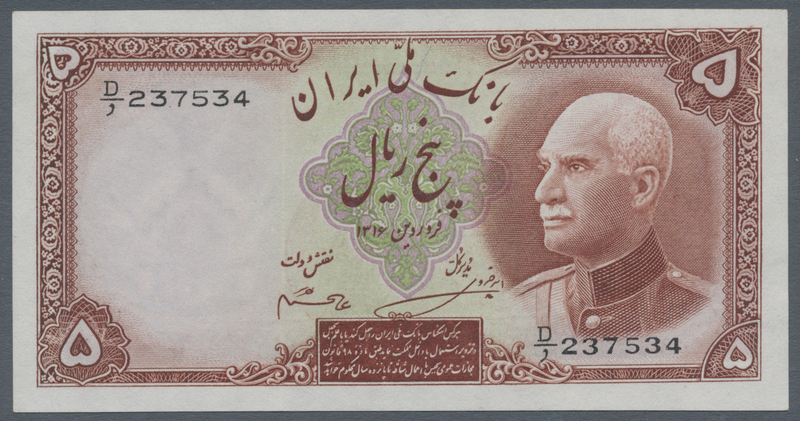 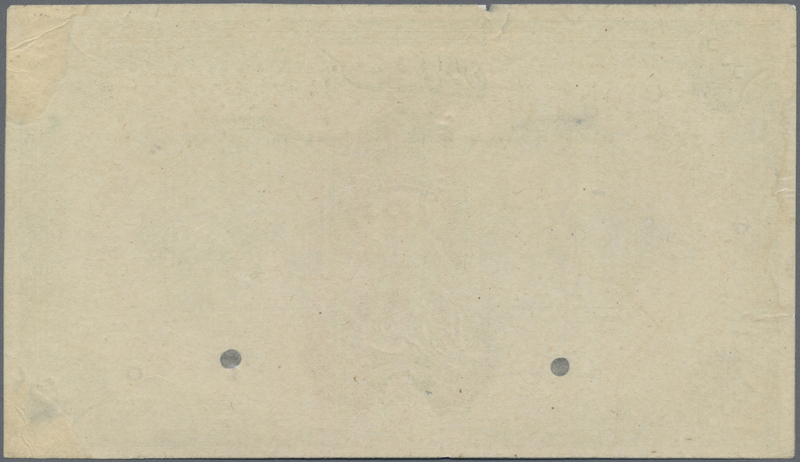 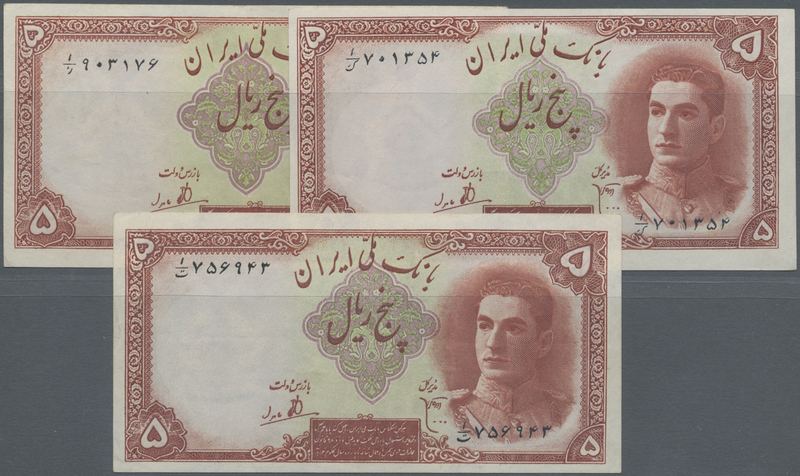 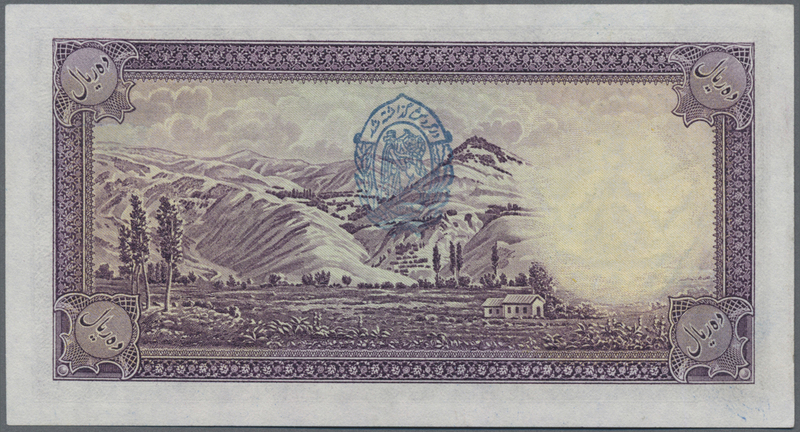 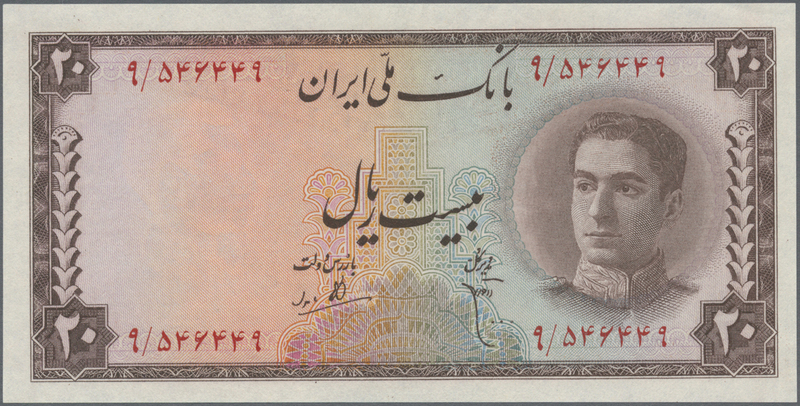 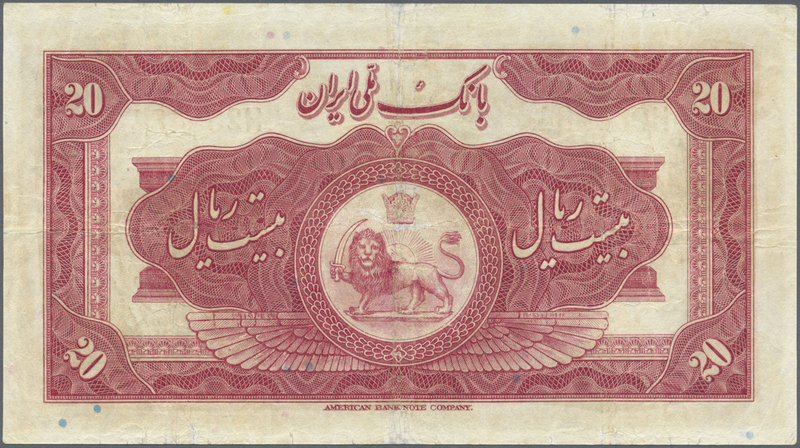 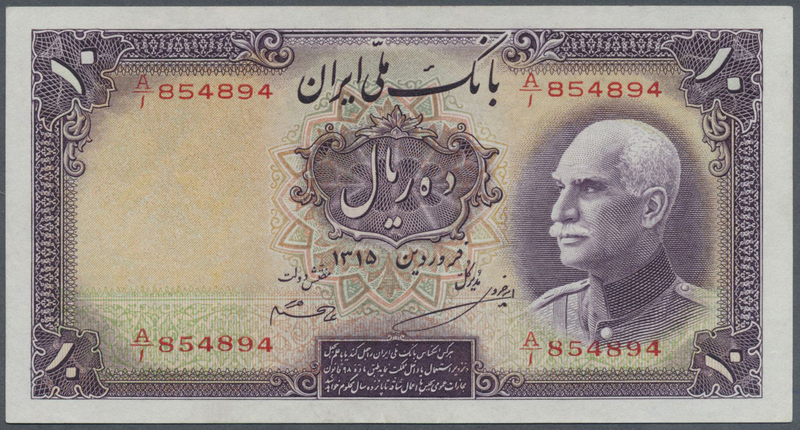 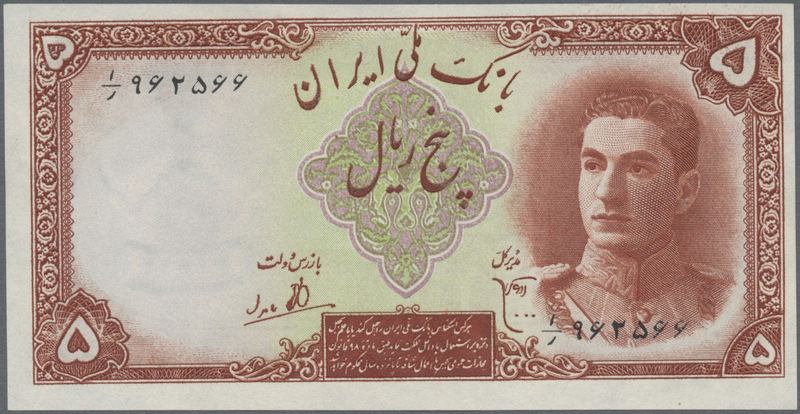 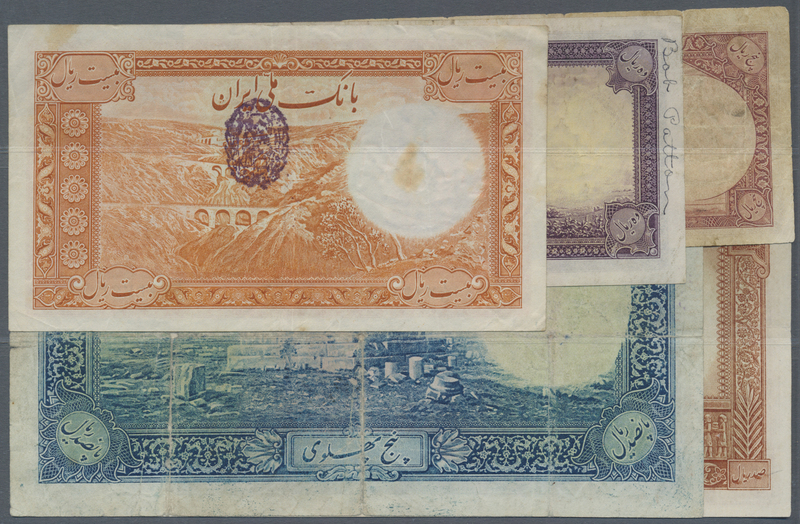 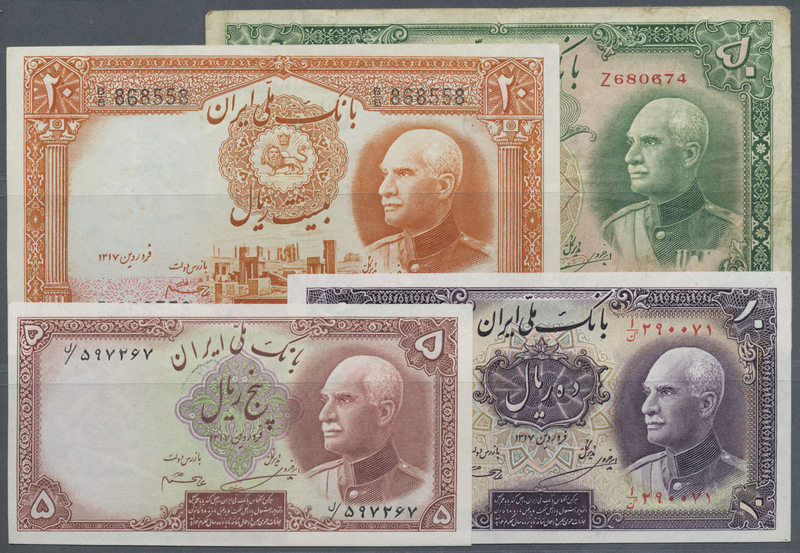 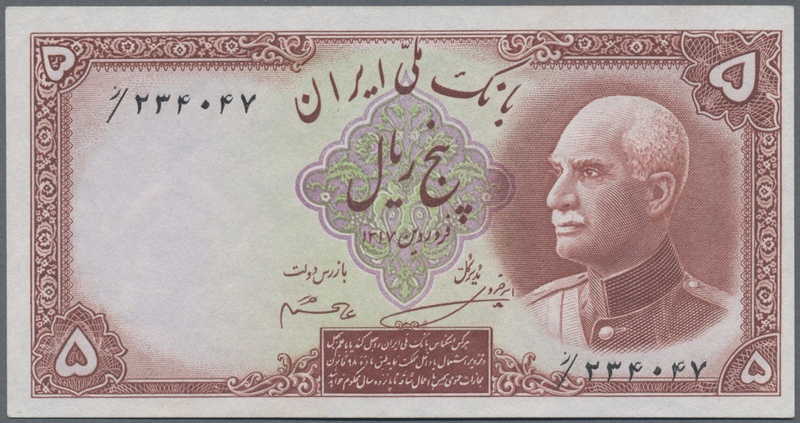 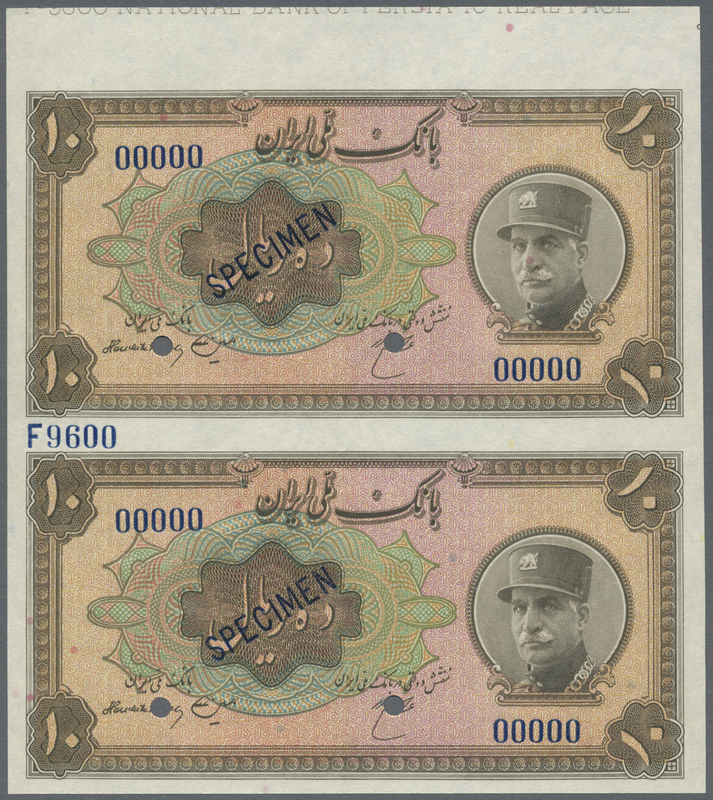 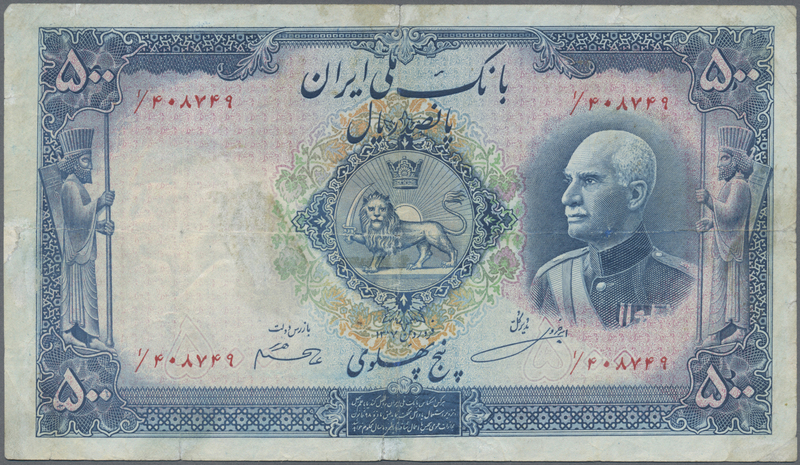 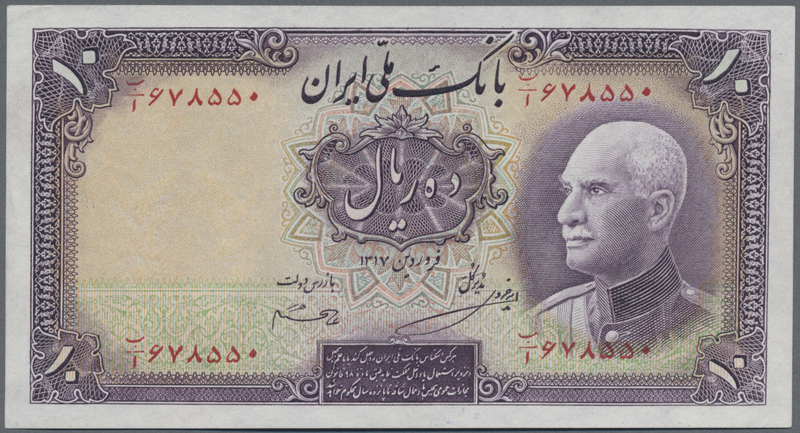 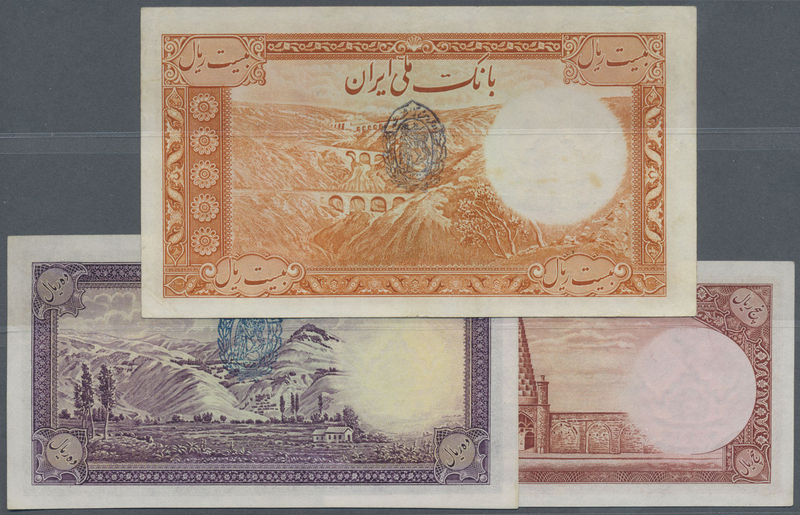 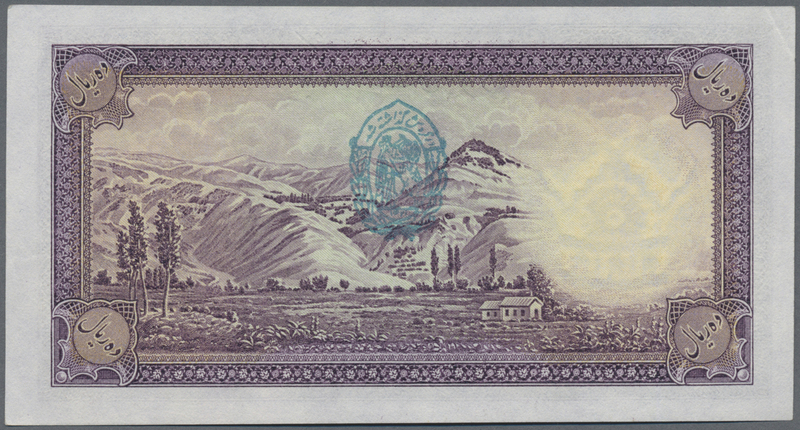 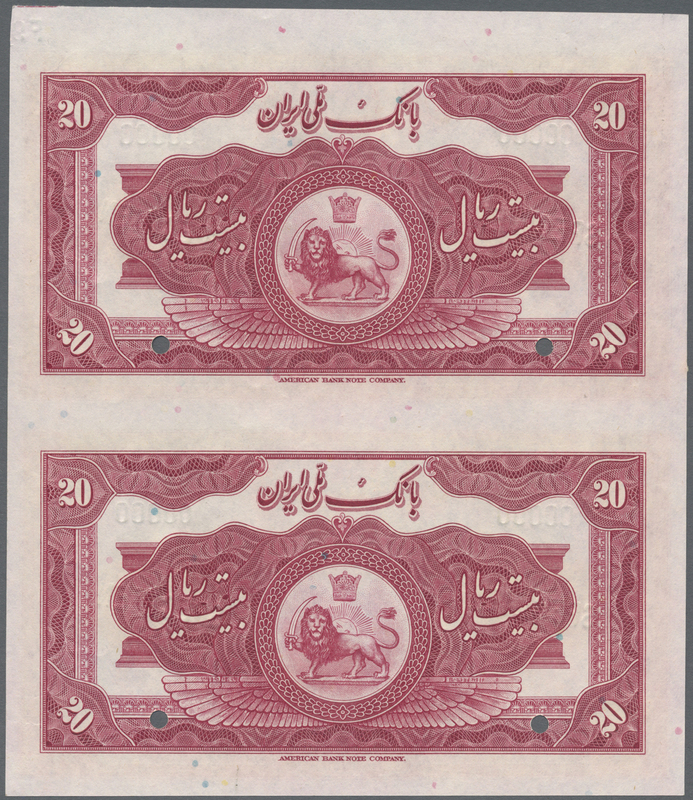 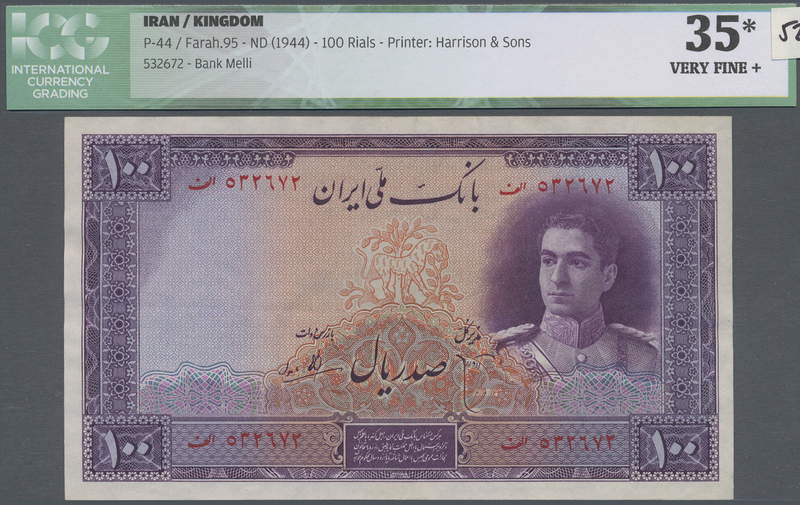 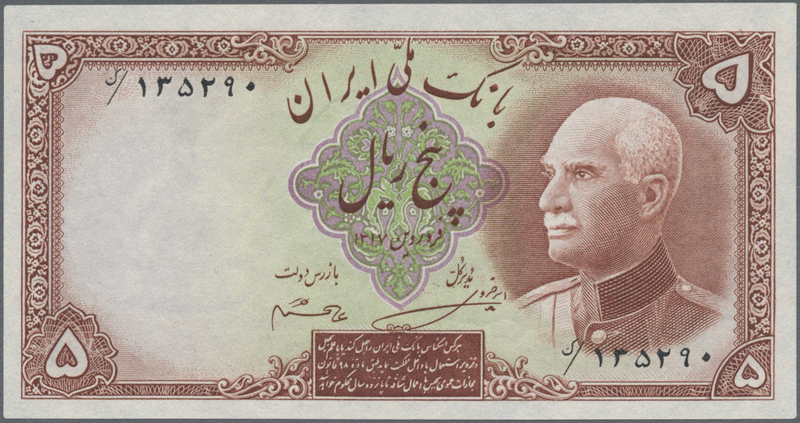 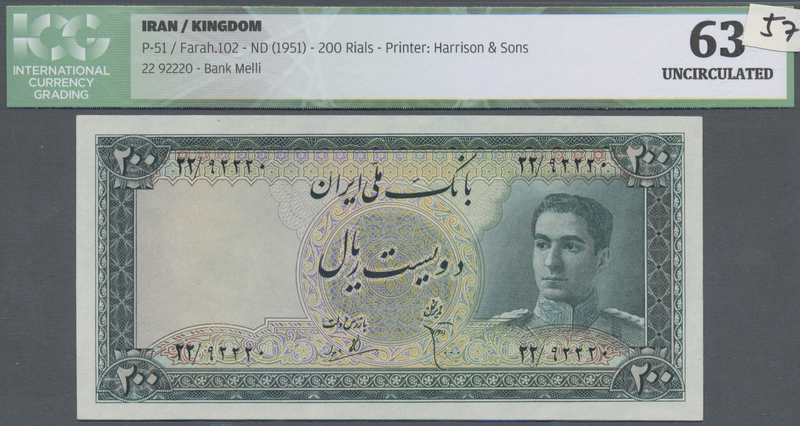 1711 Pick 26 20 Rials ND P. 26, used with several folds and creases, no holes, pressed, still nice colors, condition: F.
1717 Pick 28p rare proof print 100 Rials ND(1924) P. 28p, uniface front proof, mounted on cardboard in condition: UNC. 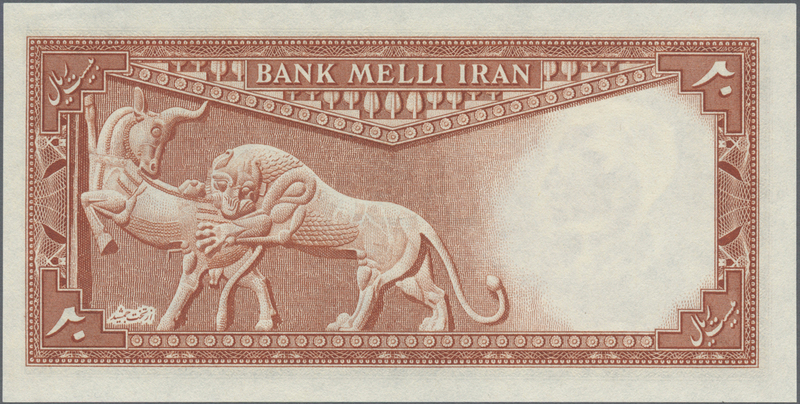 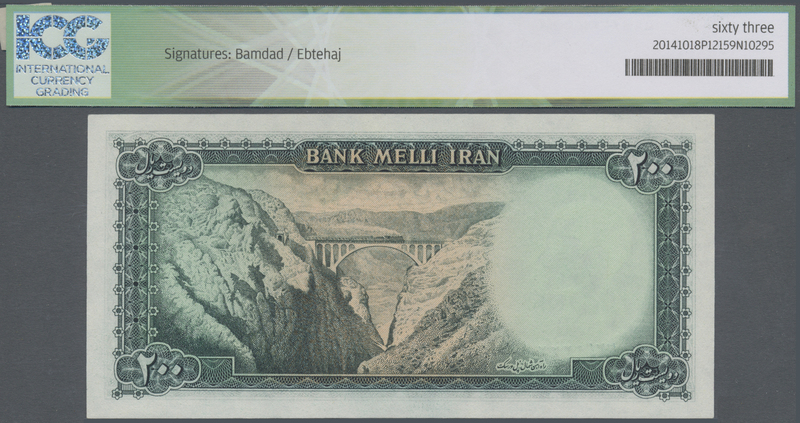 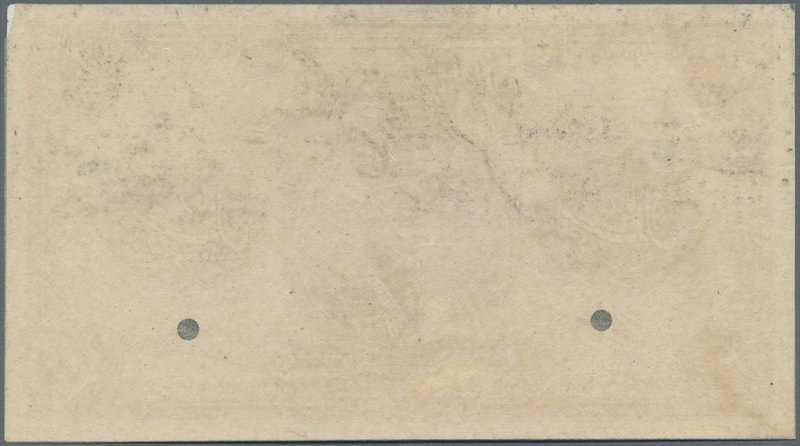 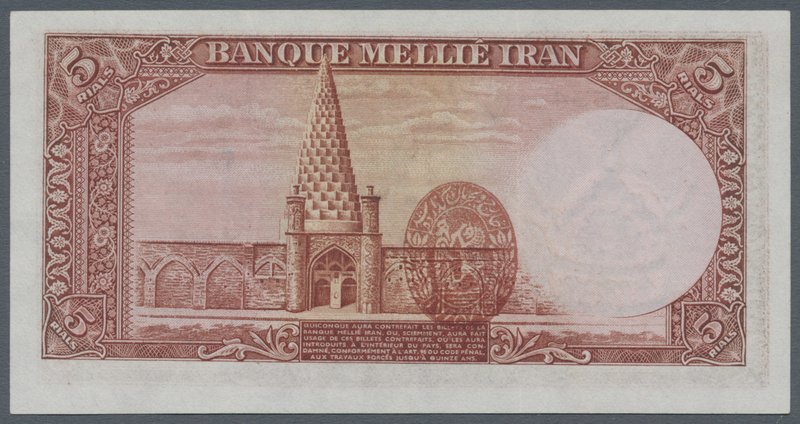 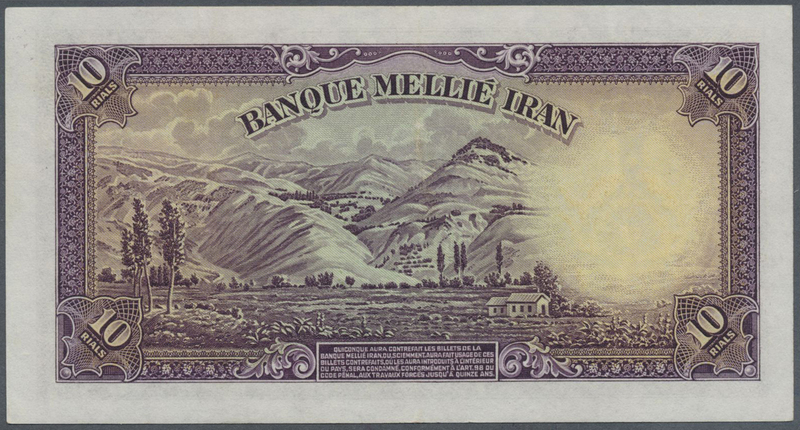 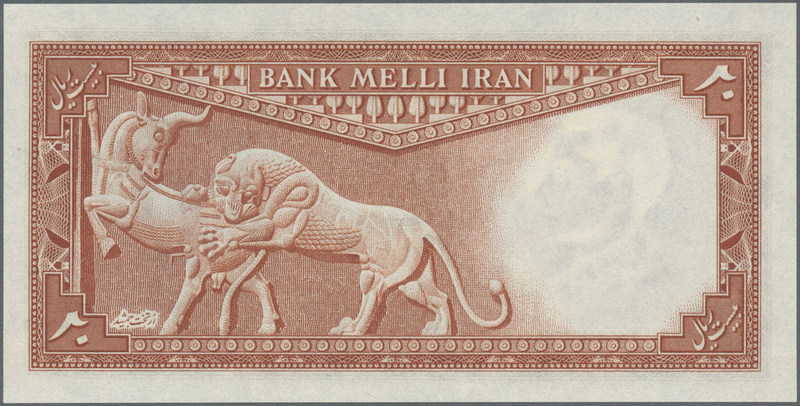 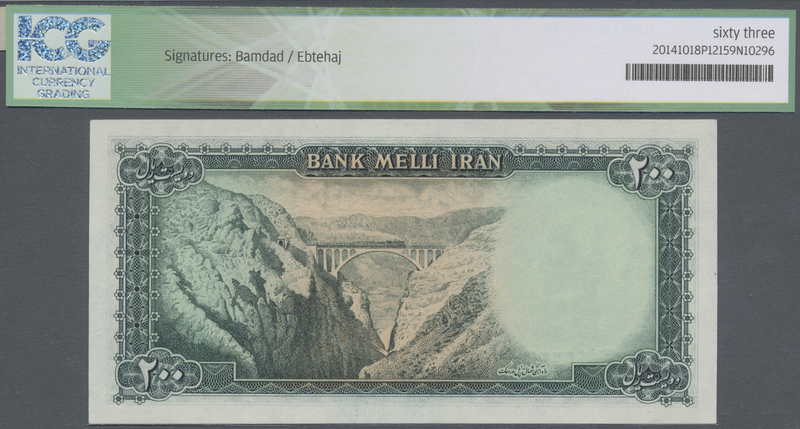 1726 Pick 32a Banque Mellié Iran 5 Rials SH1316 with oval stamp and French text on back, P.32a in XF condition. 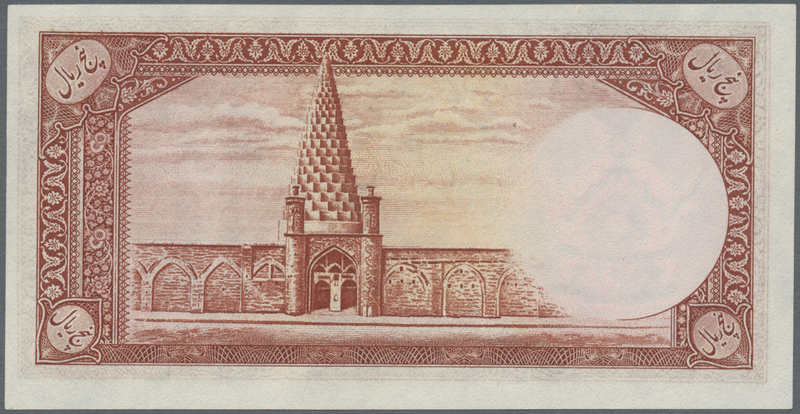 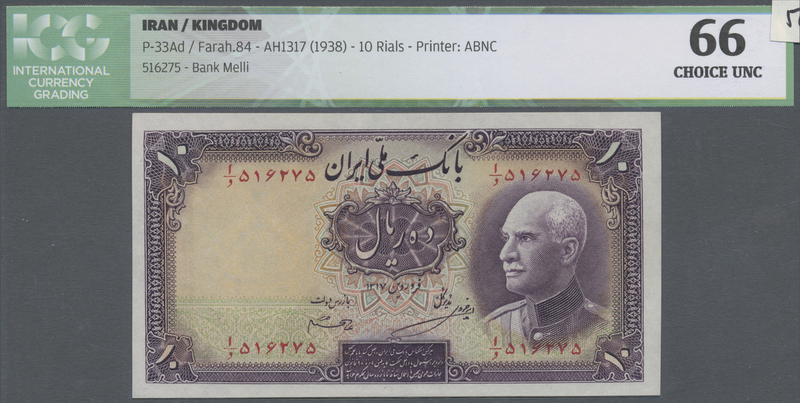 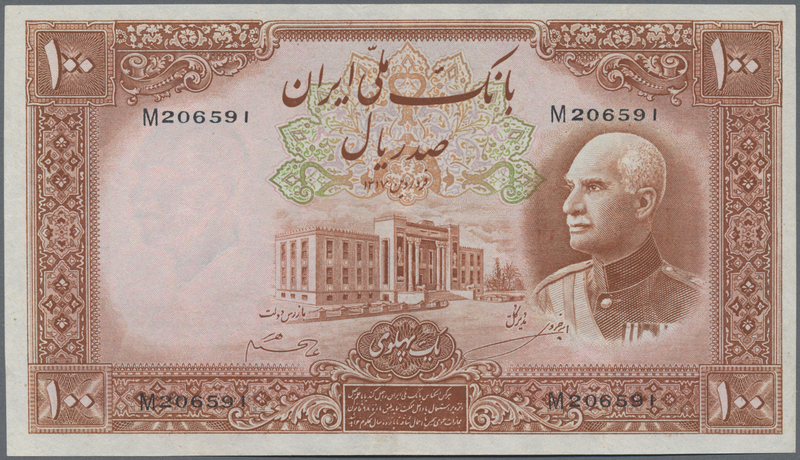 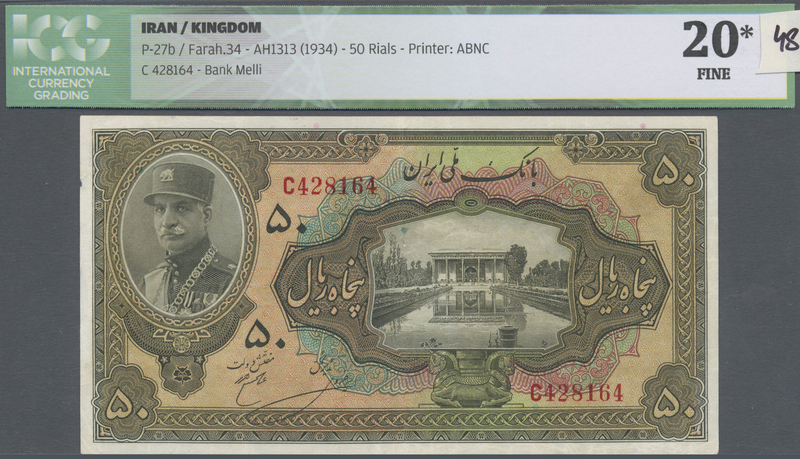 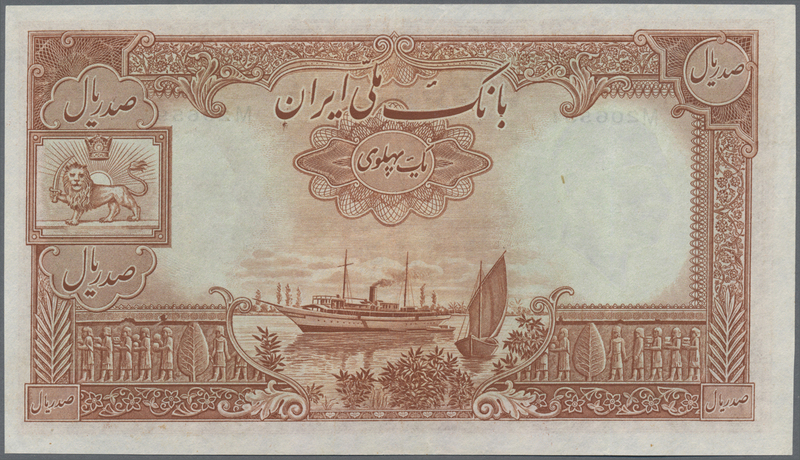 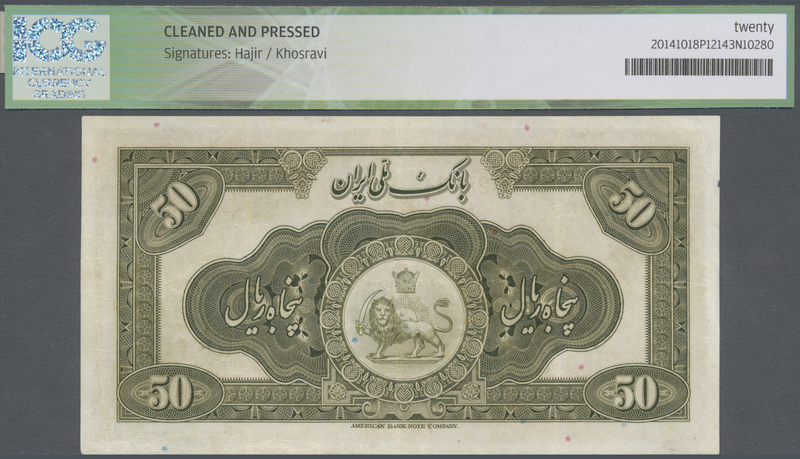 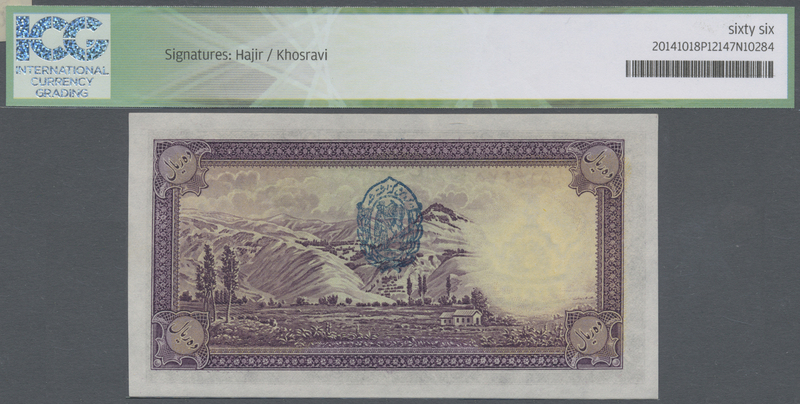 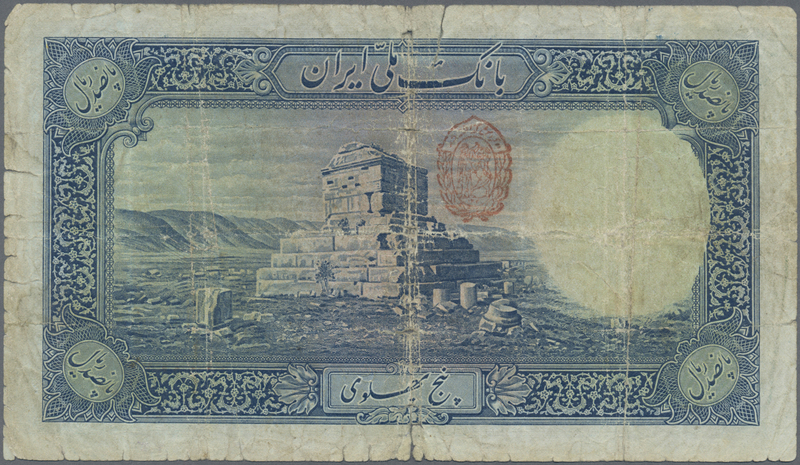 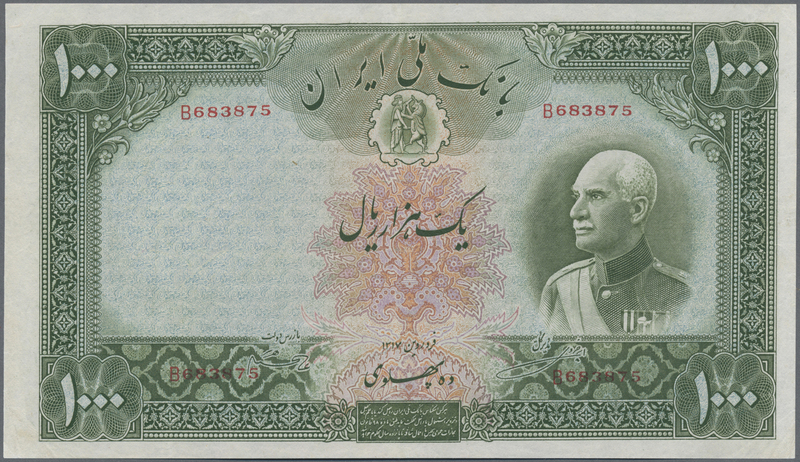 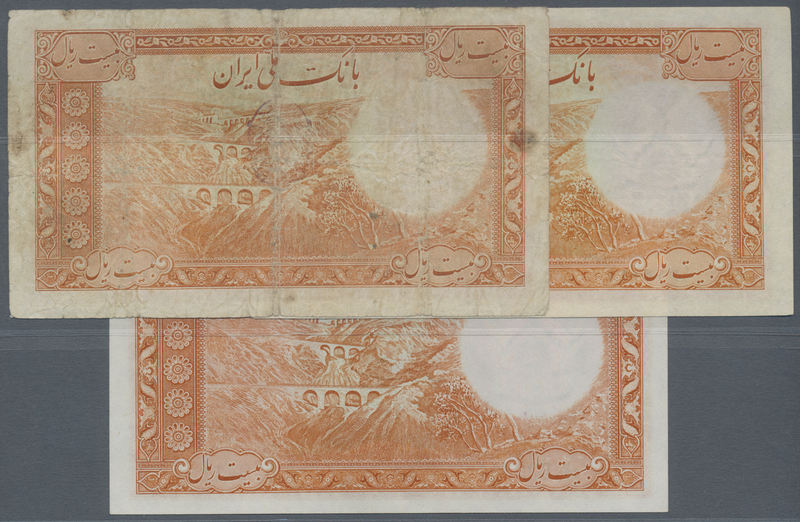 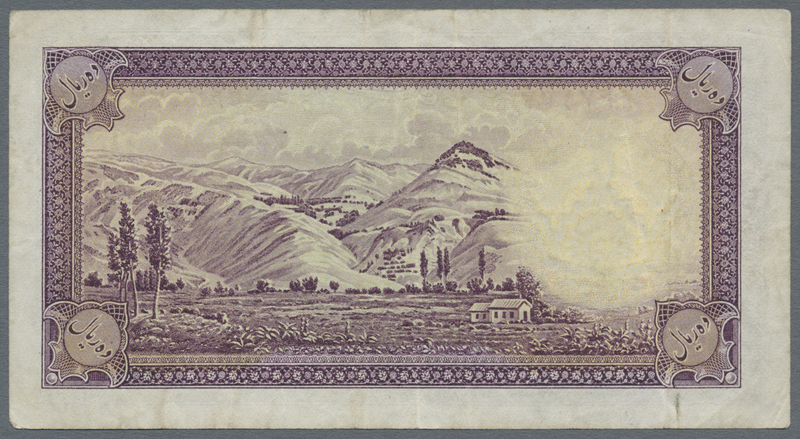 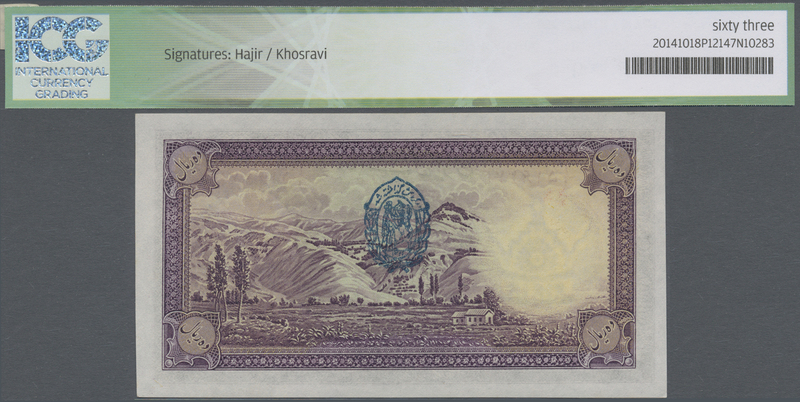 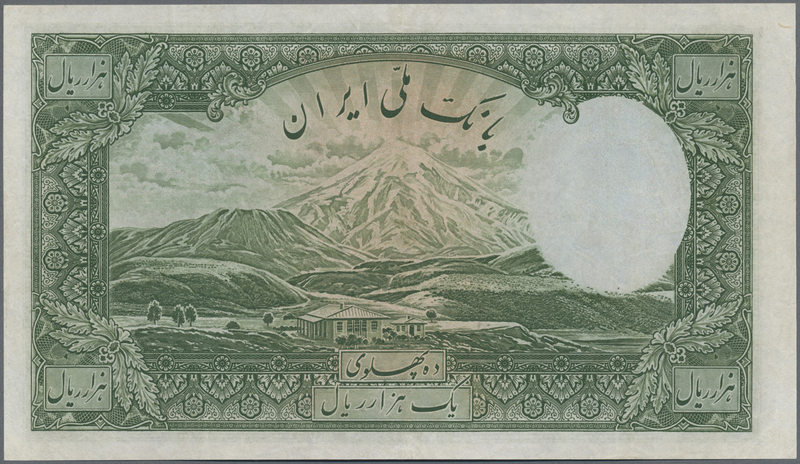 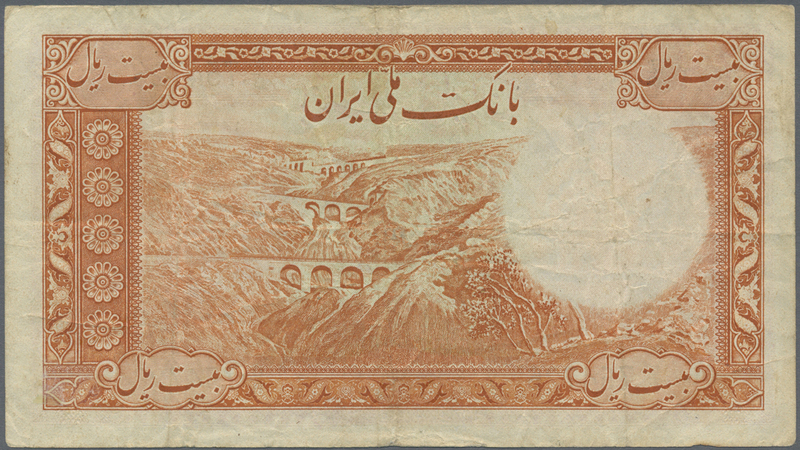 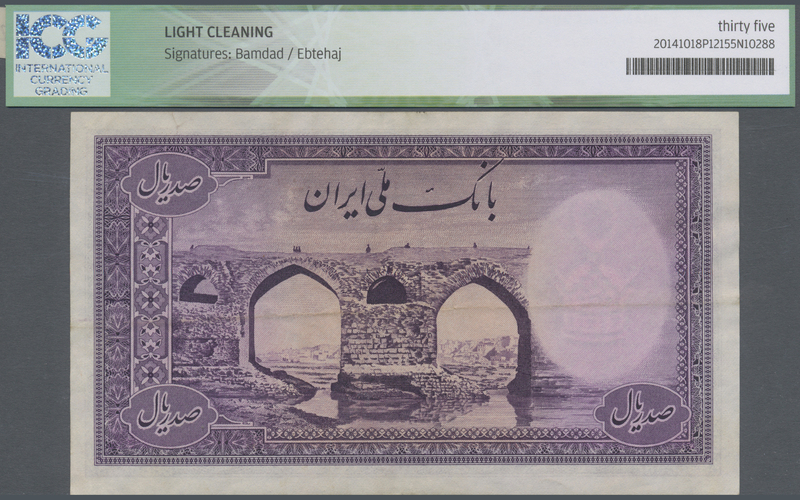 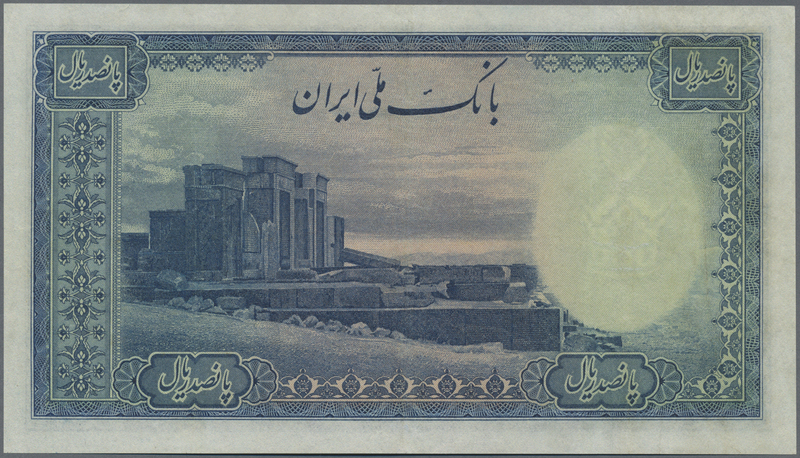 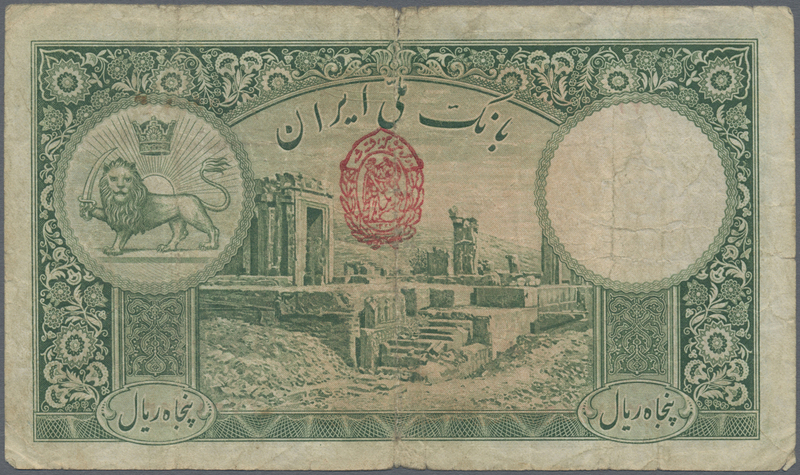 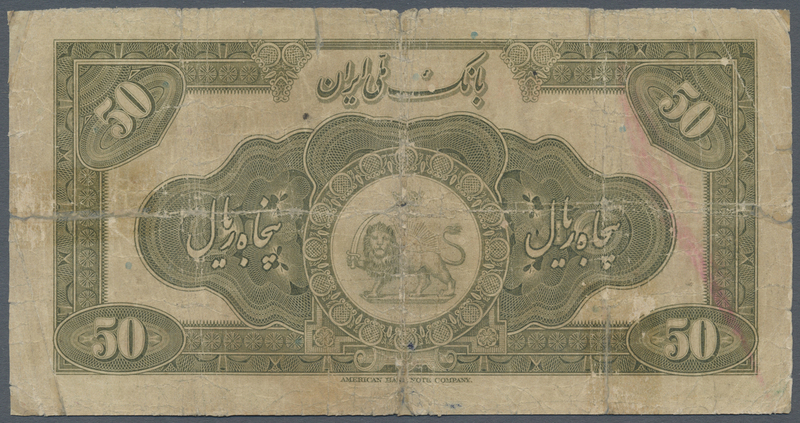 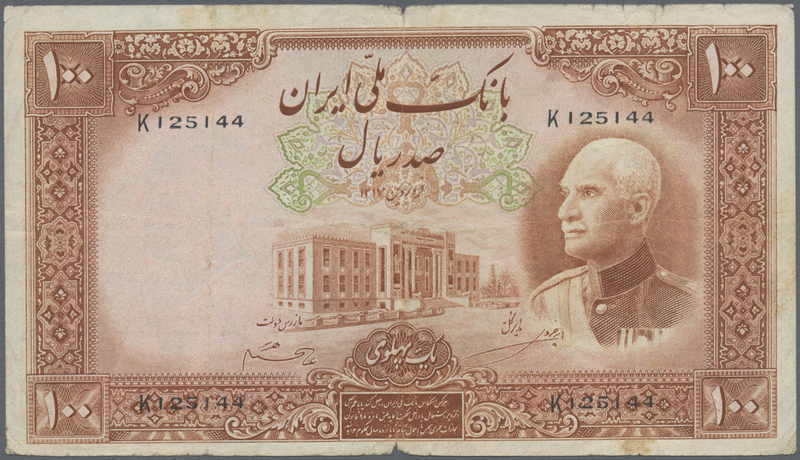 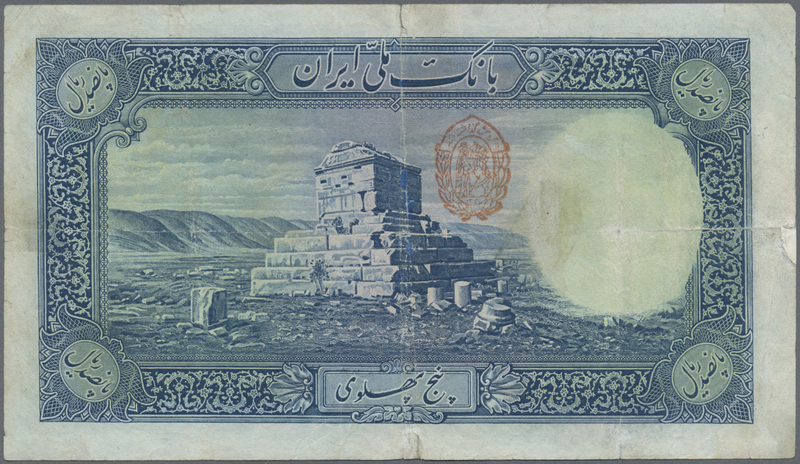 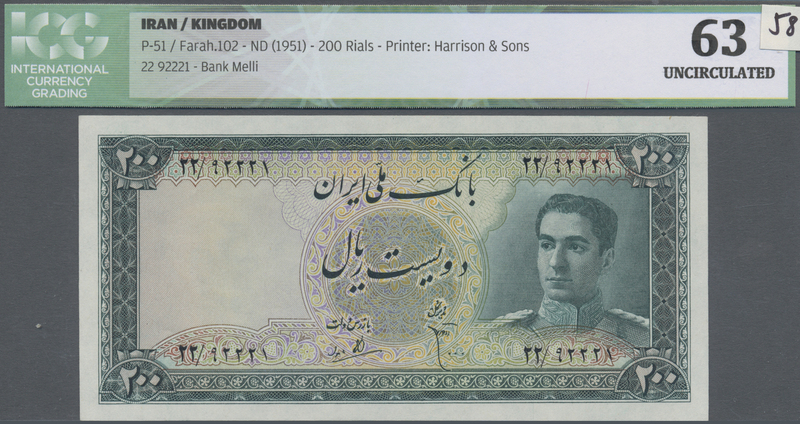 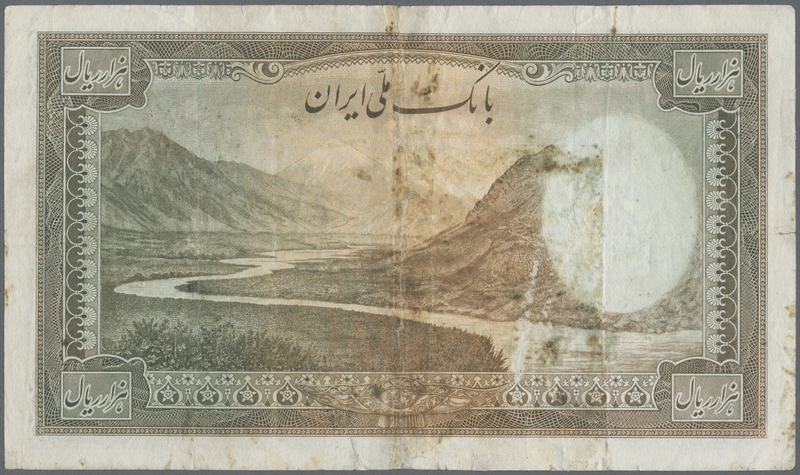 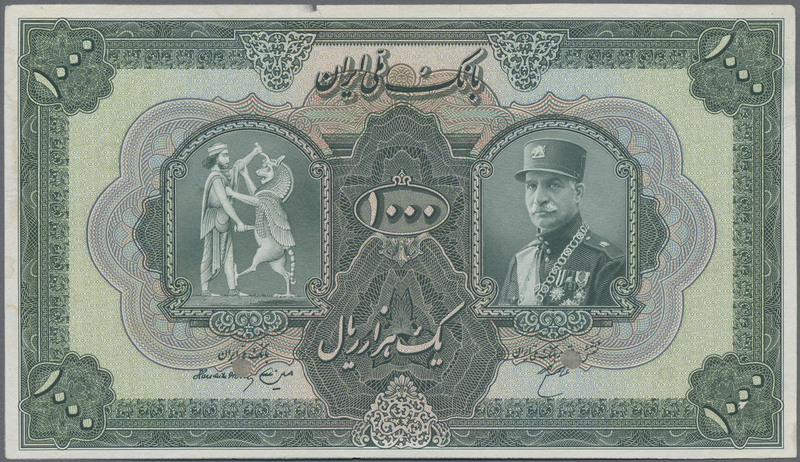 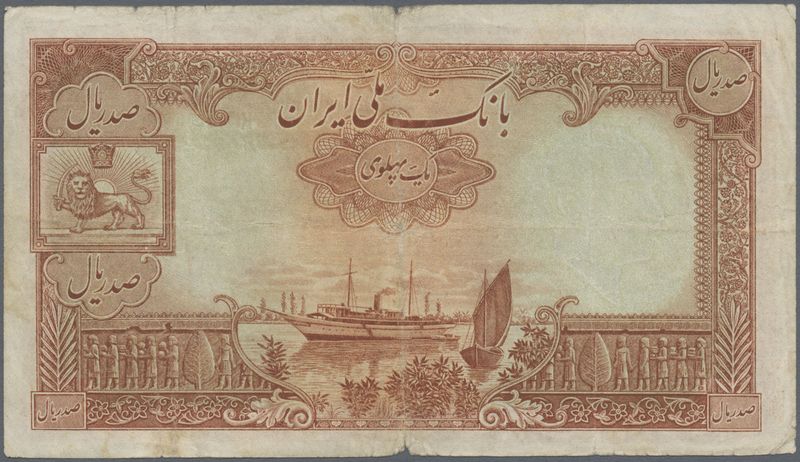 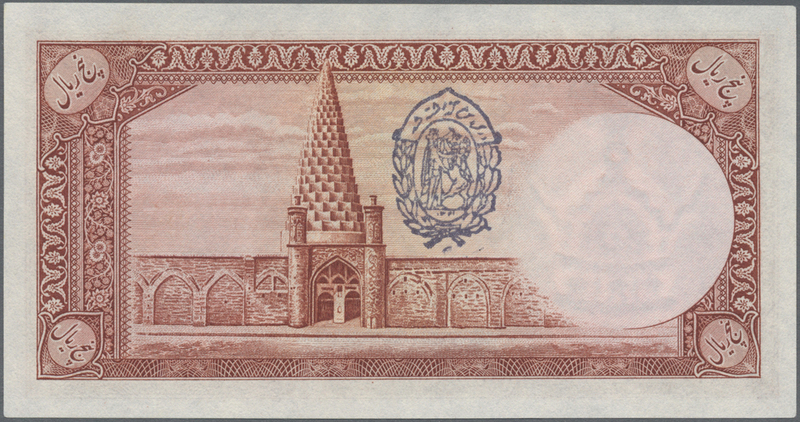 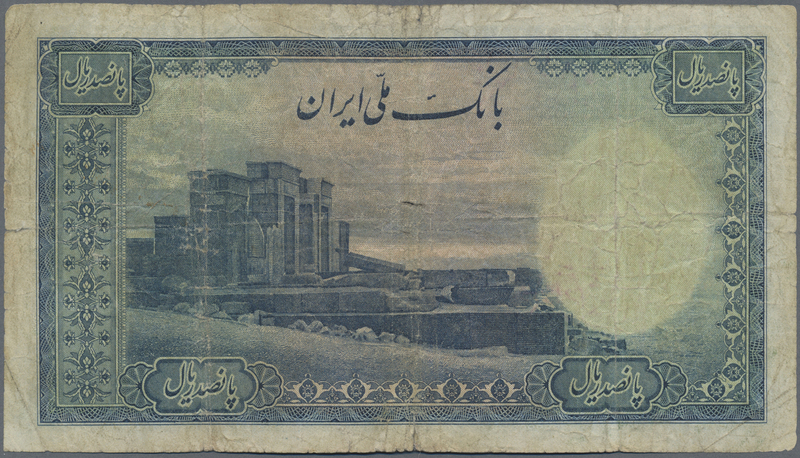 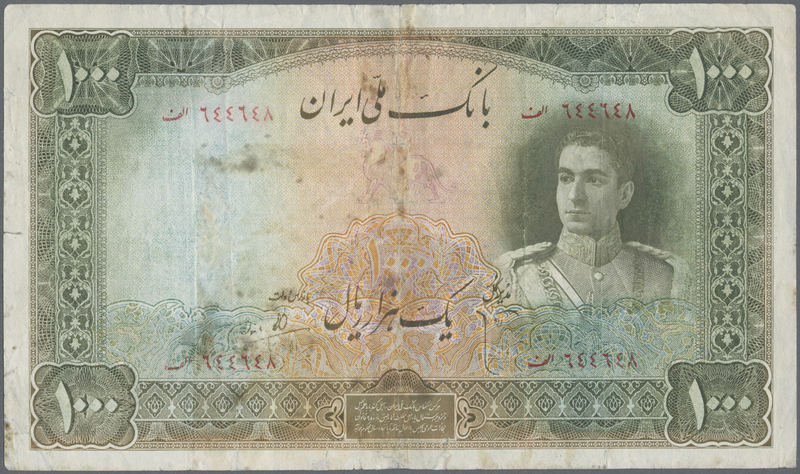 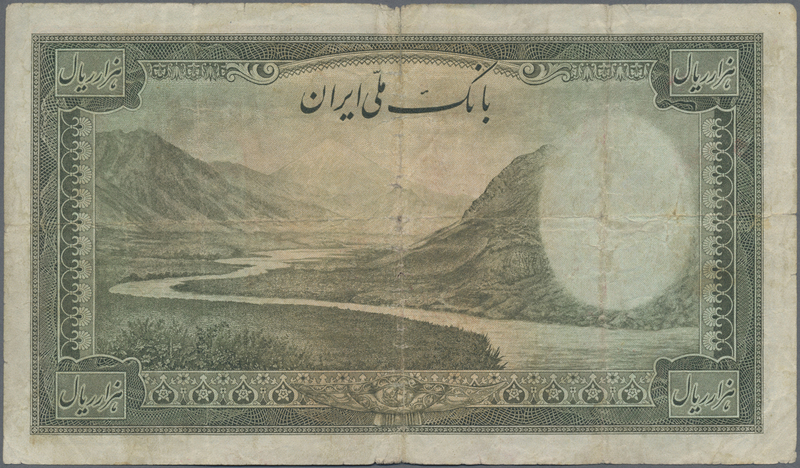 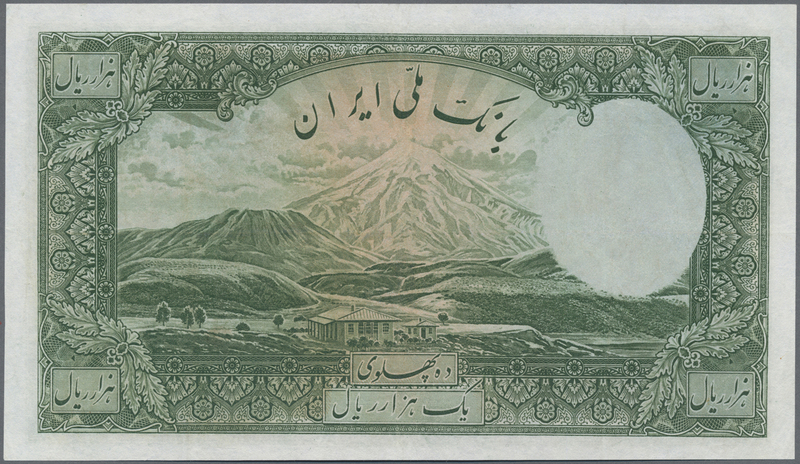 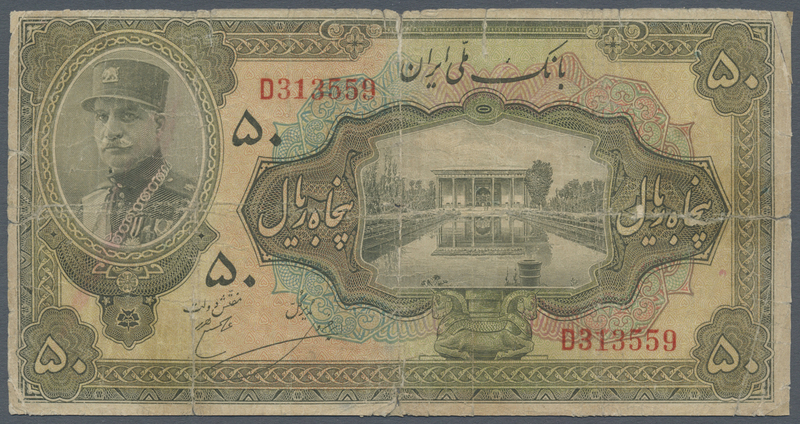 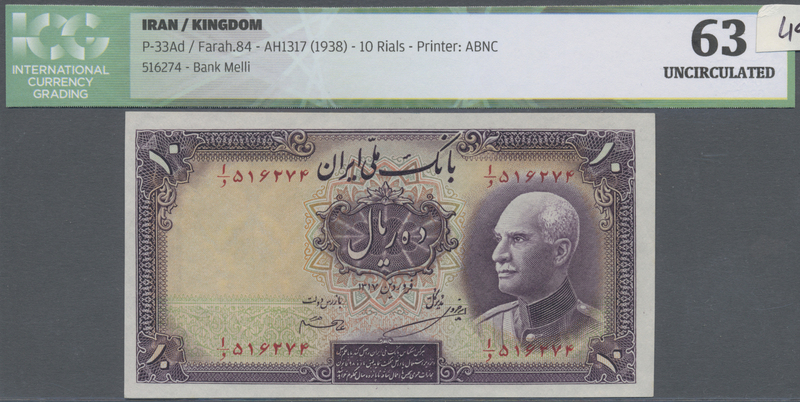 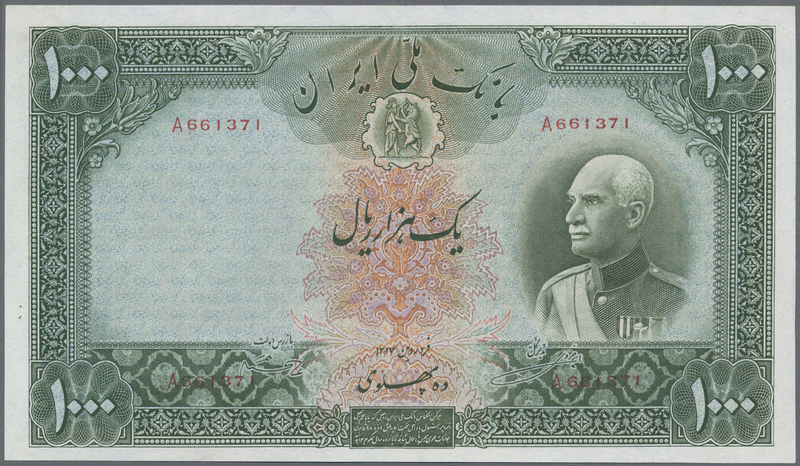 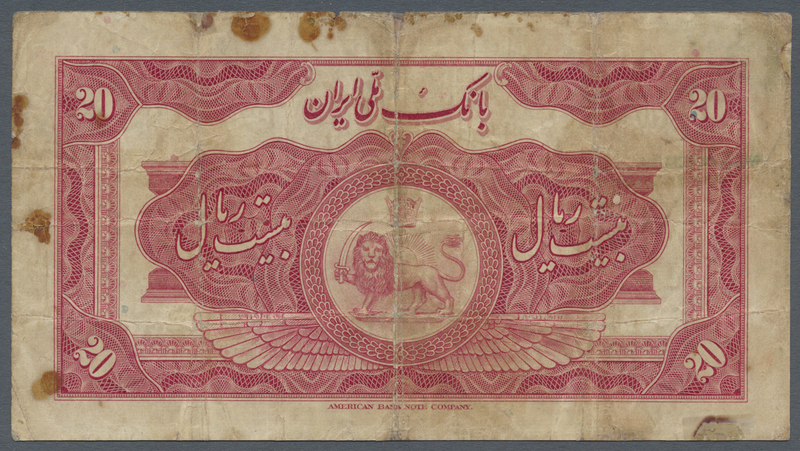 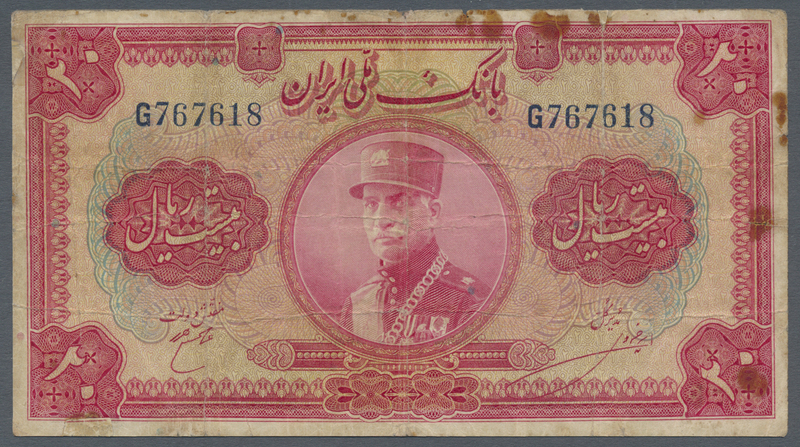 1732 Pick 34 20 Rials ND P. 34 in used condition with several folds and creases, black stamp on back, condition: F.